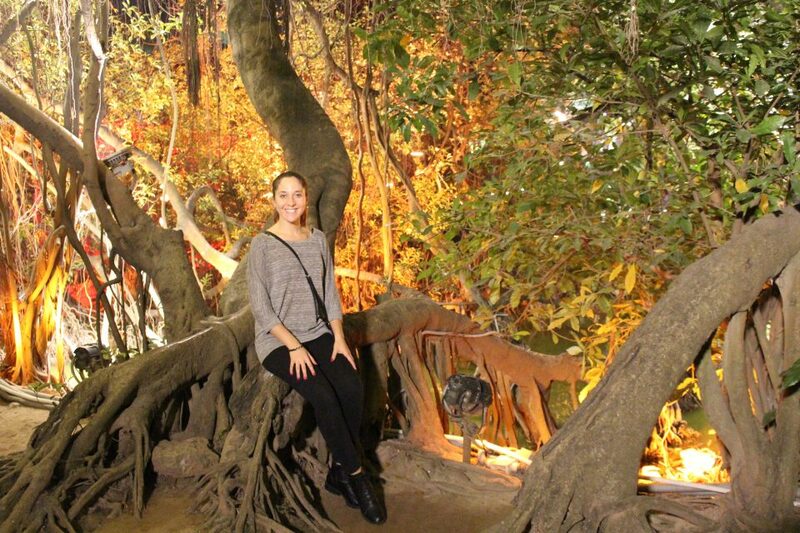 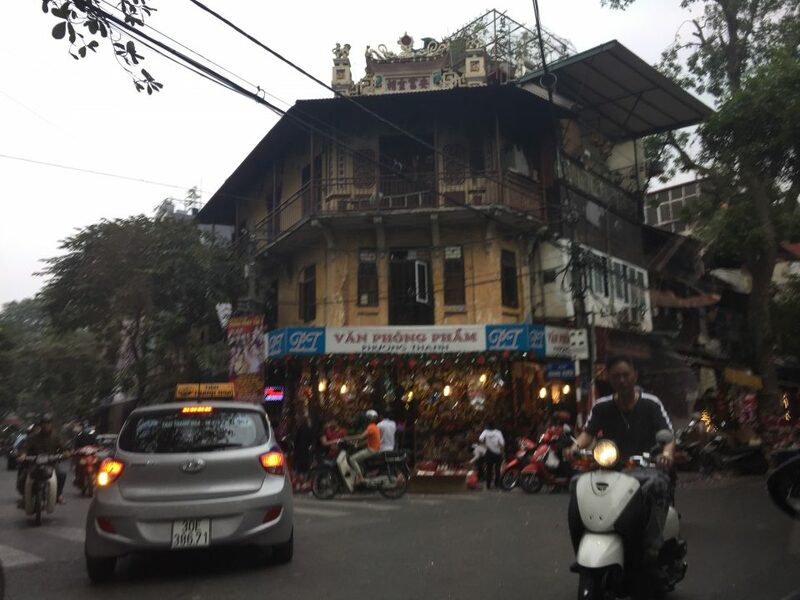 We flew from Hong Kong to Hanoi and took a taxi from the airport. 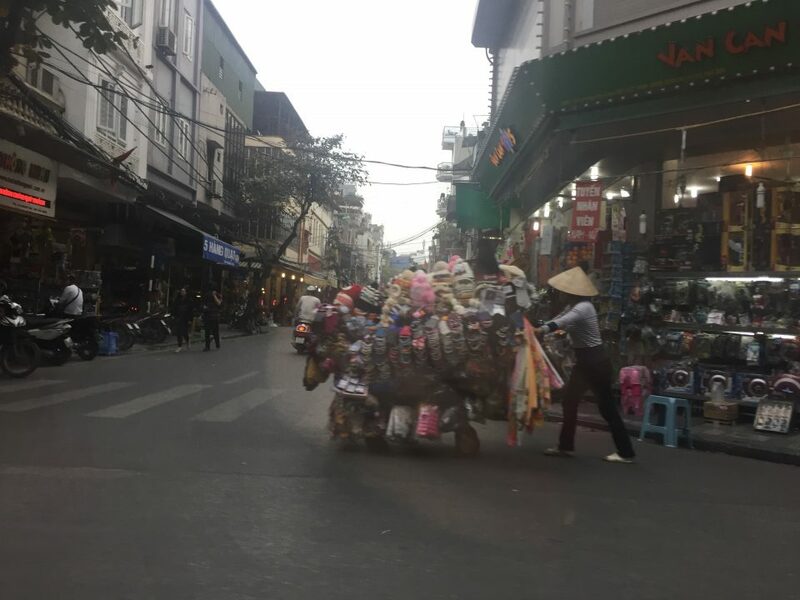 As we approached the main city quarters, the streets got much more crowded with winding scooters and street vendors everywhere. 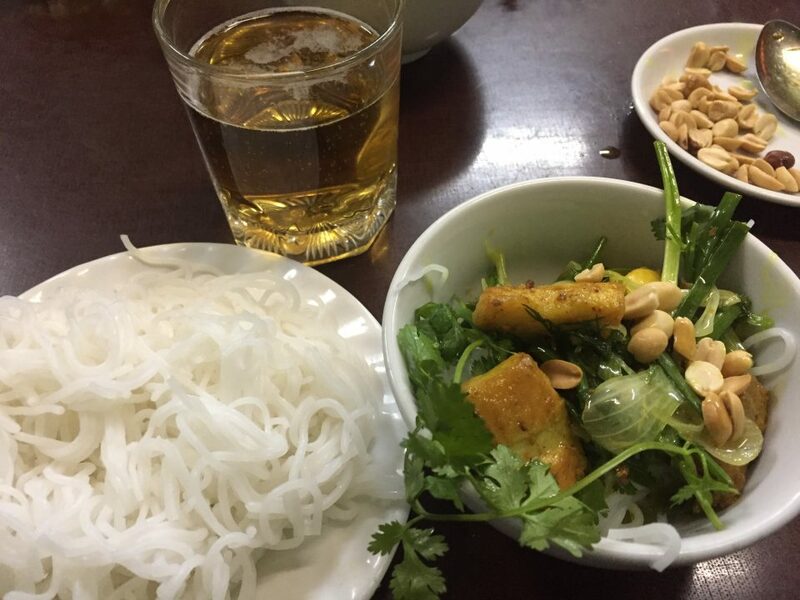 Casually exploring these crowded streets, we passed by a recommended restaurant for chả cá, a fish and rice noodle dish. 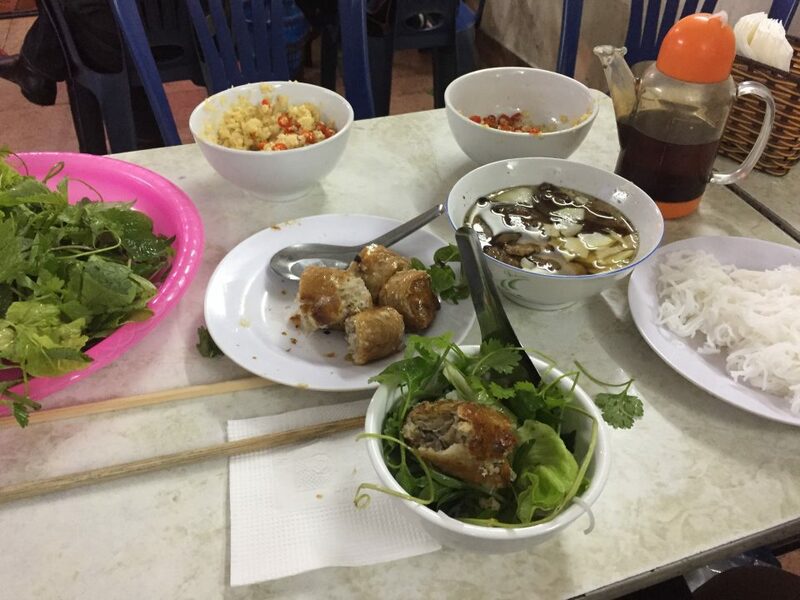 Most restaurants only serve one menu item, on bare essential hardware, and many don’t have full-sized tables, but the food is tasty and very inexpensive! 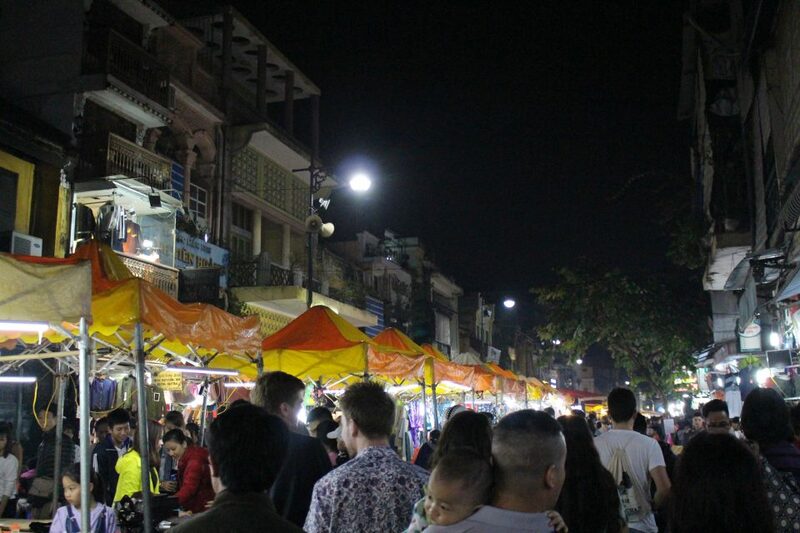 Many vendors roam the streets selling goods or food all day long. 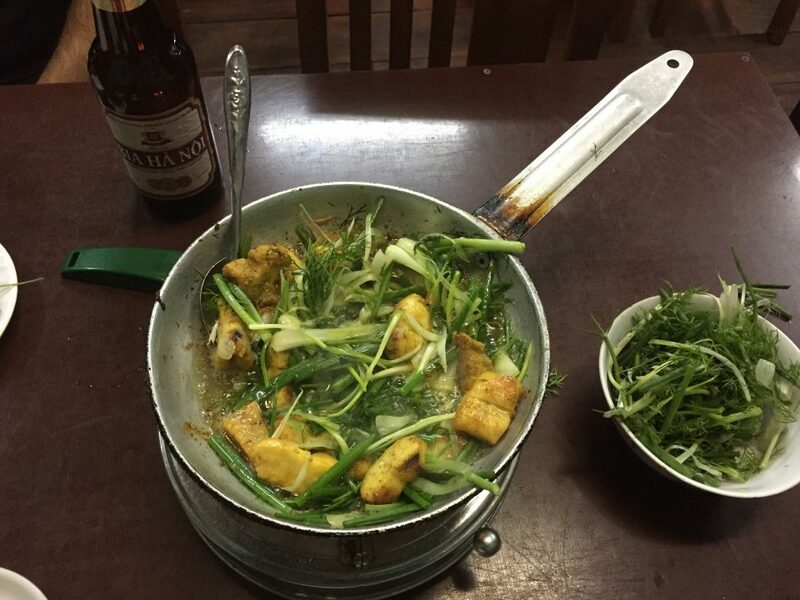 Later, we try another place for bun cha, pork and noodles. 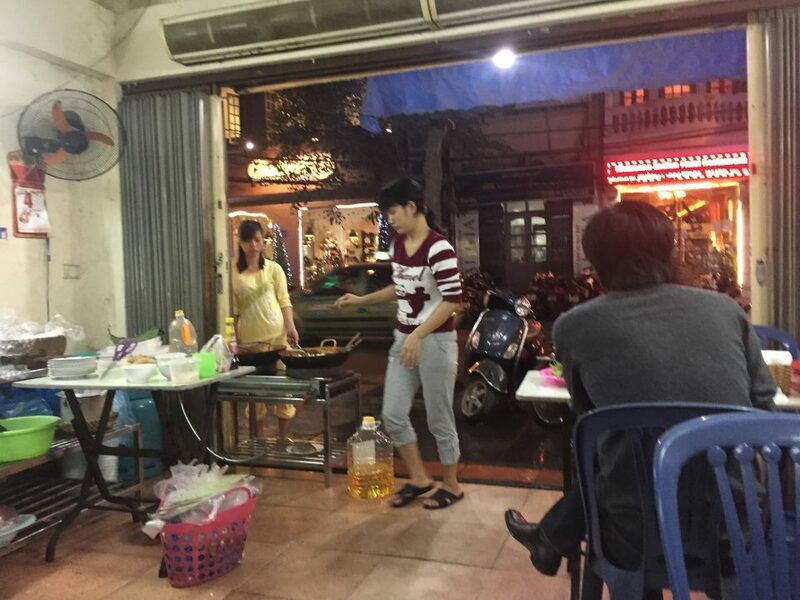 Again, you basically just sit and eat right in the kitchen, sometimes outside on tiny footstools. 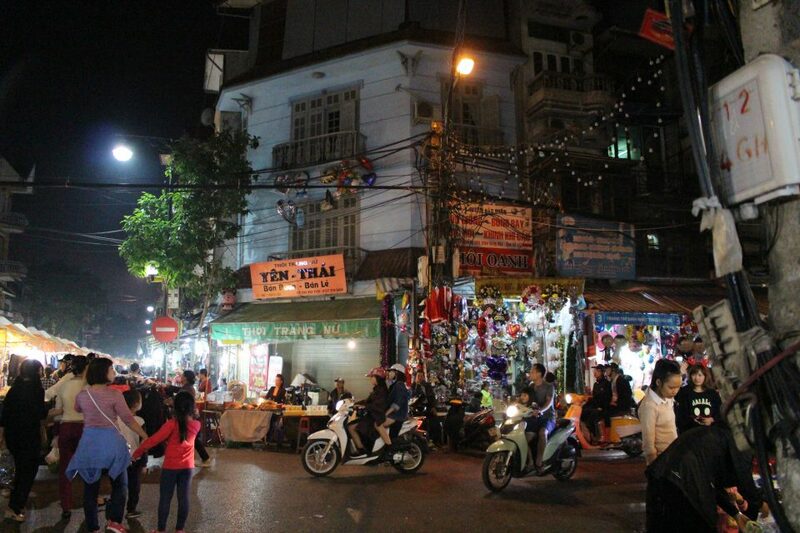 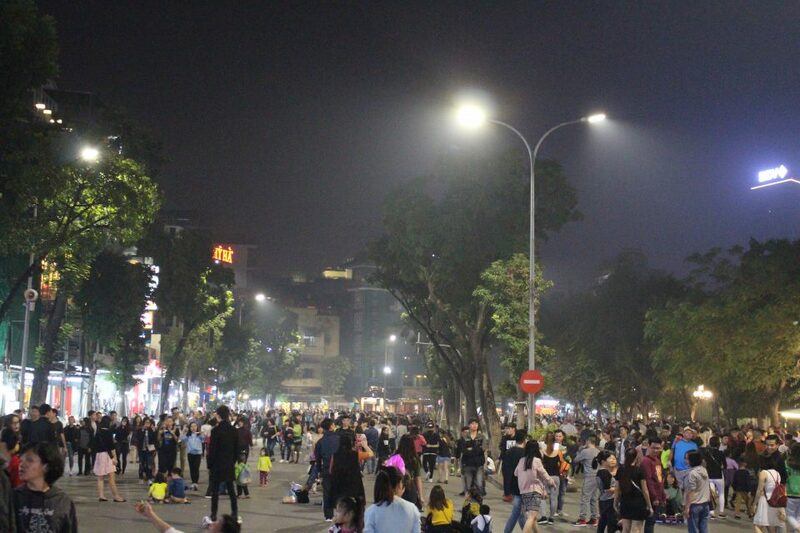 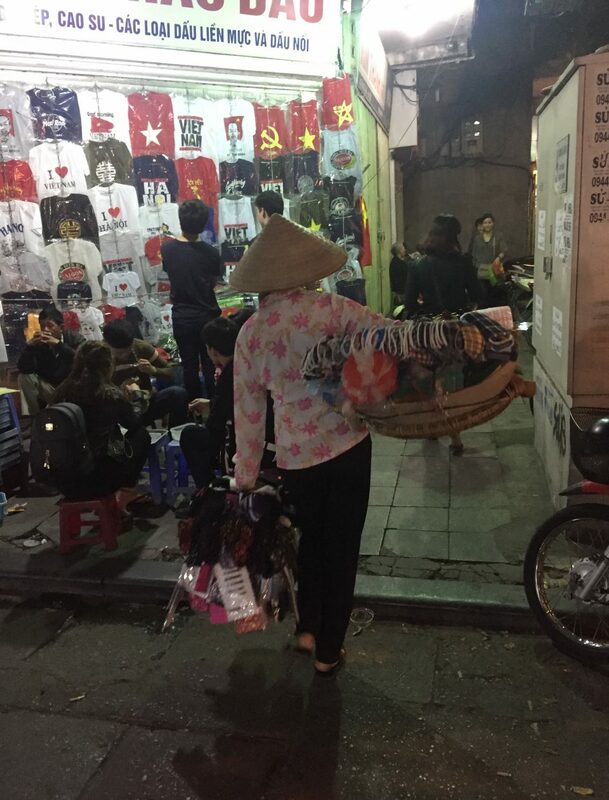 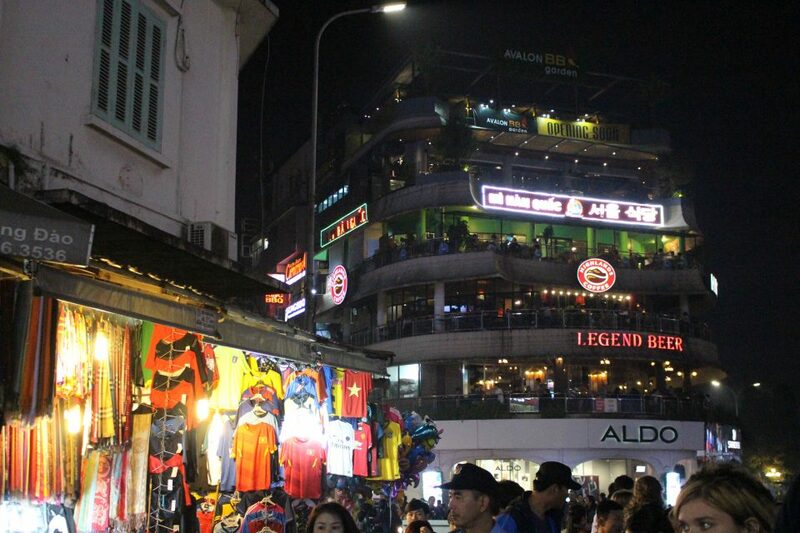 At night, Hanoi really lights up with markets and (somehow) even more people. 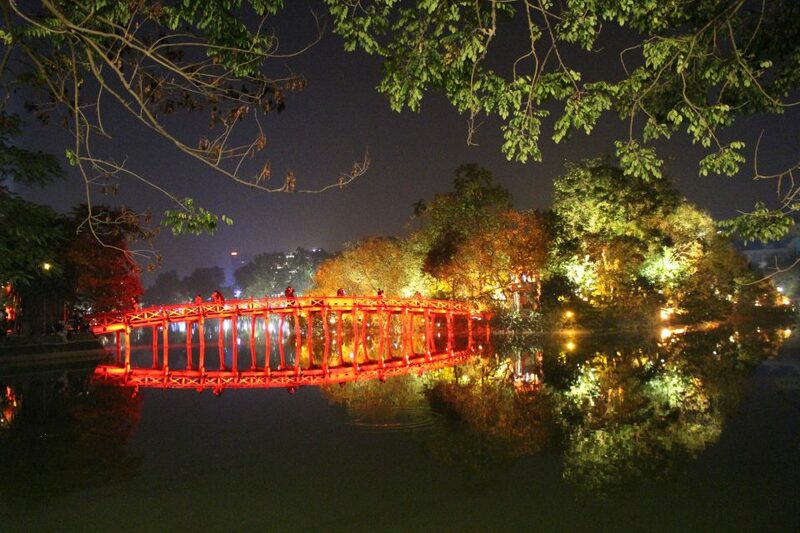 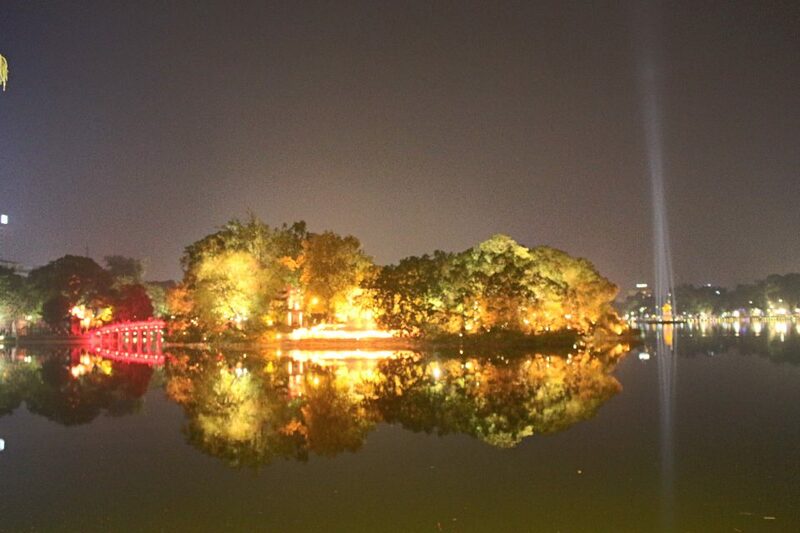 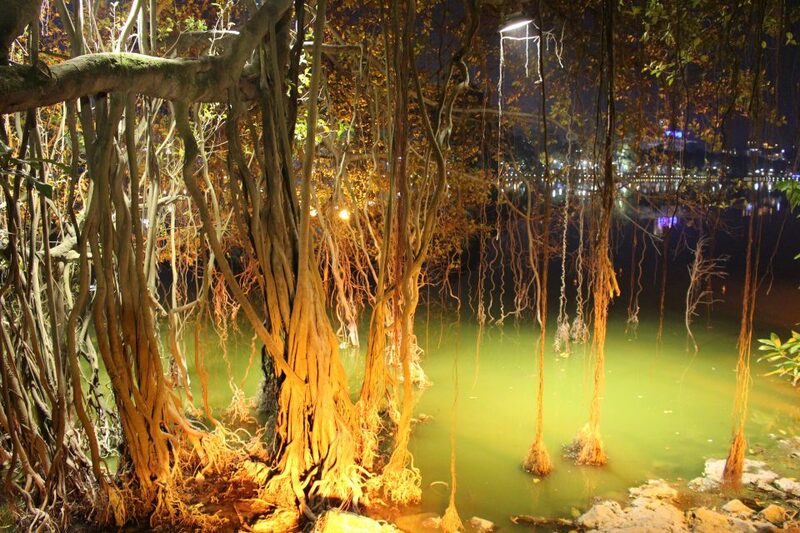 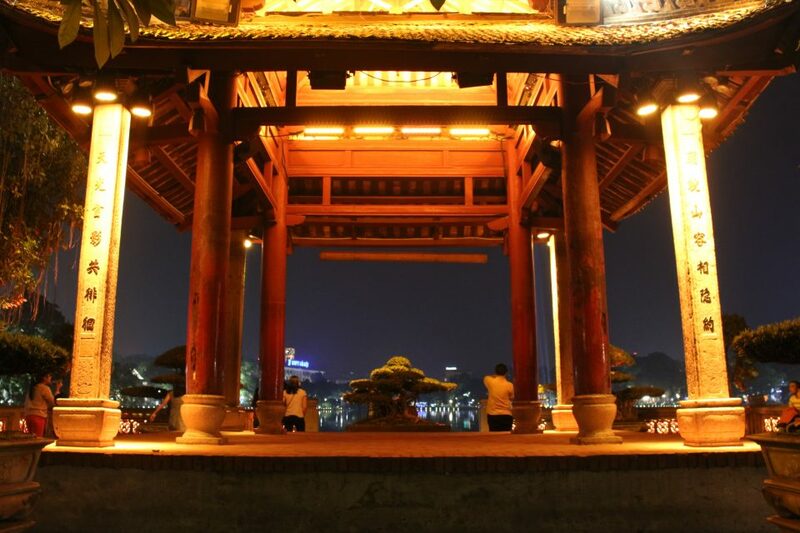 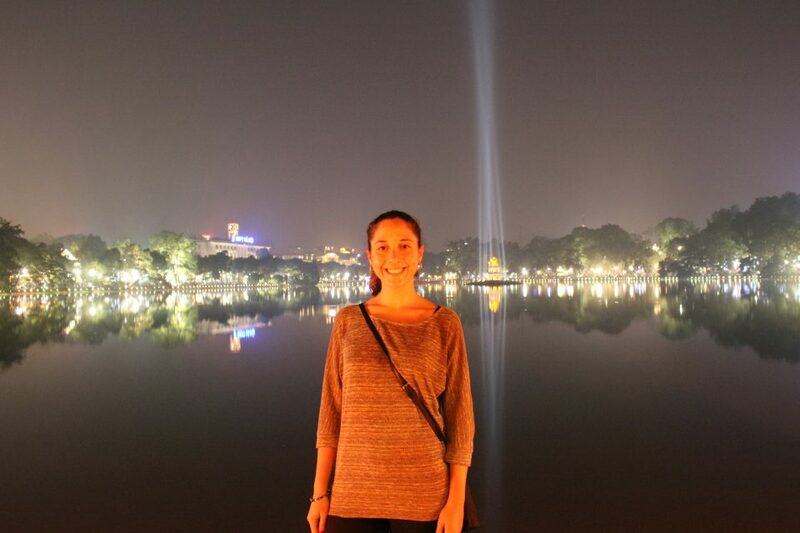 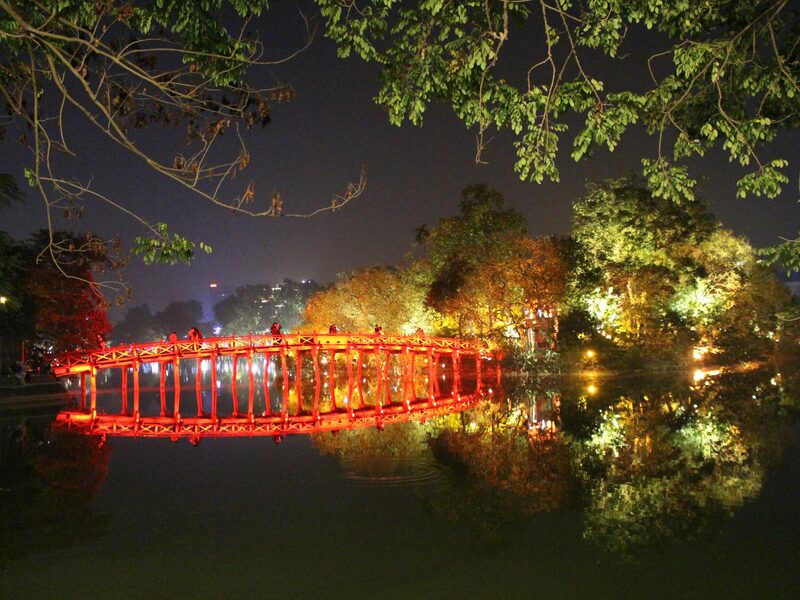 Near the lake, you can see a beautifully lit bridge leading to Ngoc Son temple.